Found these lovely photos at thestreethearts.com. I think these styles are ultra cool! The girl up in the left corner looks stunnishing in her blazer with fringes on the shoulder. 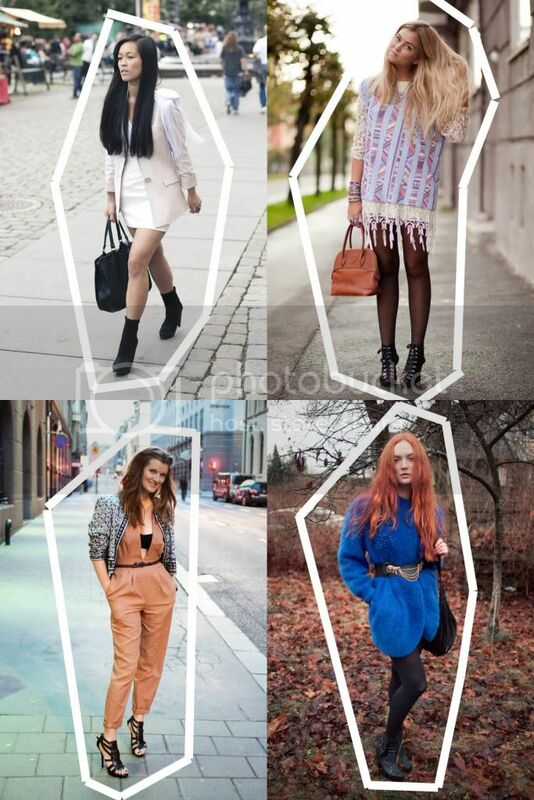 I love how the girl in the top right has a laid back style but still looks very high-fashion. The trouser suit cannot be escaped these days, and why should it? The girl with the red hair looks great how she improves an all black look with a beautiful blue colour. that blu just grabs you. love the girl with the red hair. such a fabulous look! Gorgeous, the first girl in the picture is the blogger Vanillascented! Love her. Also love the girl with red hair, the blue looks poppin' on her!